Spice up your Thursday Nights with us at Unlocked Cafe! 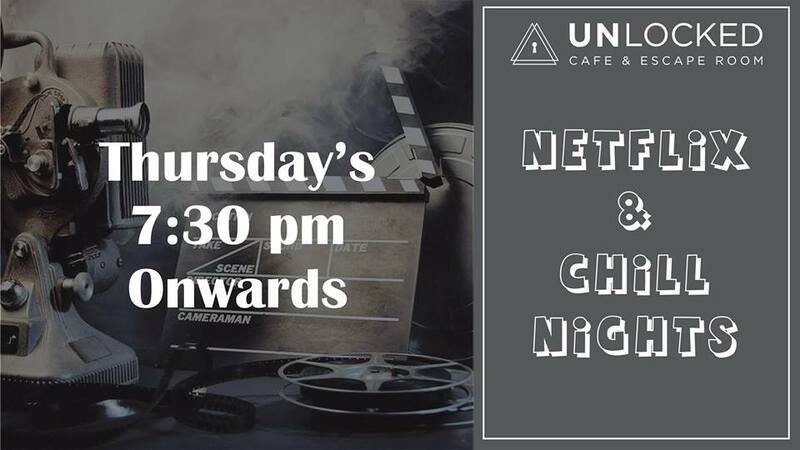 This March we are bringing you ‘Netflix and Chill Nights’! What better than too watch blockbuster movies with your near and dear ones while munching down on your favourite meals! We will be posting a poll with select movies each week to help decide what movie we would be showing that week.